You will need to take or purchase a sarong to cover you up when visiting temples, otherwise a pair of long pants or maxi-skirt will do, but they’ll be hotter. Leave that beach towel behind. Most accommodation provides towels or beach towels. If not, they are quite cheap to buy. However, if you are arriving late at night and will want a shower, you could take a smaller towel just in case. Don’t worry about taking make-up. The weather is so hot it will all sweat off – or you will swim it off. Instead, take tinted sunscreen. This is one thing that is expensive in Bali, so take plenty with you. Packing is not all about clothes. Don’t forget to pack your essential toiletries, but choose the smaller packets/tubes, not large bulky ones. There are also important documents to pack, but keep them in your carry-on luggage. Passport, accommodation details, airline tickets and so on need to be kept at hand. Also make photocopies of these before departure and leave them with a trusted person, just in case you lose yours. Camera and iPhone should also be kept with you in your hand luggage. You may also need to pack prescription medications and something for diarrhoea in case you get Bali belly. Electrolyte sachets are also a good idea and won’t take up any room. 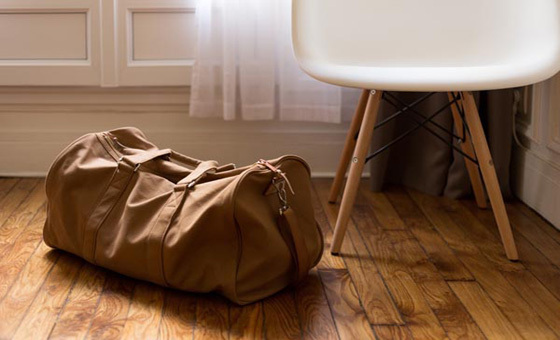 Be adventurous; try to pack really light by limiting your luggage to carry-on only. That way you can often get bargain airfares. Having your laundry done by staff over in Bali is usually quite cheap, but compare prices as some hotels are more expensive. Once you’ve been to Bali you will find it much easier to pack, but travelling light is the key to having a stress-free time.